January 25, 2019 11:35 am. Tigre Du Terre was advancing towards the elite grades in Britain when owner Edmond Siu stepped in to make the gelding one of last summer’s most high-profile Hong Kong acquisitions. On Sunday (27 January), the Le Havre rig will in some measure justify the faith of his purchaser when he takes his place in the Hong Kong Classic Mile, the first leg of the coveted Four-Year-Old Classic Series. He will do so having contested two Hong Kong races with contrasting outcomes. “He’s a good horse, there’s no doubt. He showed us that first-up. We’ll forgive the second run,” trainer Caspar Fownes said. The talented bay out-ran his odds on debut back in December, failing by only a nose to best the smart five-year-old Insayshable in a hot Class 2 handicap over a mile. He returned a 141/1 chance; top-rated Classic Mile contender Dark Dream was a neck third. But, second-up, Tigre Du Terre found things going against him behind a soft pace as another “name” import Ka Ying Star – Urban Aspect in Britain – skipped through the Class 2 mile contest and bounded clear for a debut score. Fownes’ charge, a 12/1 shot, was ill at ease and boxed on to finish 11th of 14. Each year, imports with high-class form and progressive profiles arrive in Hong Kong. All have to acclimatise to the new environment, the climate, Sha Tin’s on-site stabling, a new way of training. Some falter, others thrive; Fownes, of course, is working for the latter outcome. “He’s a talent but he has had some little issues: some horses come to Hong Kong and they feel the pressure and they aren’t used to the fast tracks. He’s fit because he’s been swimming, he’s been doing his nice double-round canters and he’s had a bit of pace work so hopefully the run will just show us that he’s there,” he said. Tigre Du Terre warmed up for Sunday’s test with a gallop on the Sha Tin turf this morning, Thursday, 24 January. The French-bred clocked 49.8s (27.0, 22.8) for 800m. Fownes is also set to saddle Green Luck in the Classic Mile, a horse he holds in some regard. “I’m confident he’s got more there. Once it all comes together he’s just going to go bang. He’s that type of horse,” he said. The Street Cry gelding won two of three starts in Australia and is one from five in Hong Kong, winning at the third attempt at the end of November, three and a half weeks after his step-out run. Green Luck has placed second in two races since, latterly when a half-length behind Warm The Voice as the 2.8 race favourite in a 1650m Class 3 at Happy Valley. “It was a good second last week because he was up there, he had a big weight (conceding 11lb to the winner) and I think he’s the quiet horse in the race,” Fownes said. Green Luck is the lowest-rated horse in the 14-runner field. His mark of 81 leaves him 23 points adrift of top-rated Dark Dream in the set weights contest. “It’s the sort of race where you respect ratings, but being just four-year-olds in the race some will run better than their ratings suggest. If he’s not hassled and sits there in midfield, he’ll run well,” added the trainer who won the Classic Mile in 2011 with subsequent Champion Sprinter Lucky Nine. 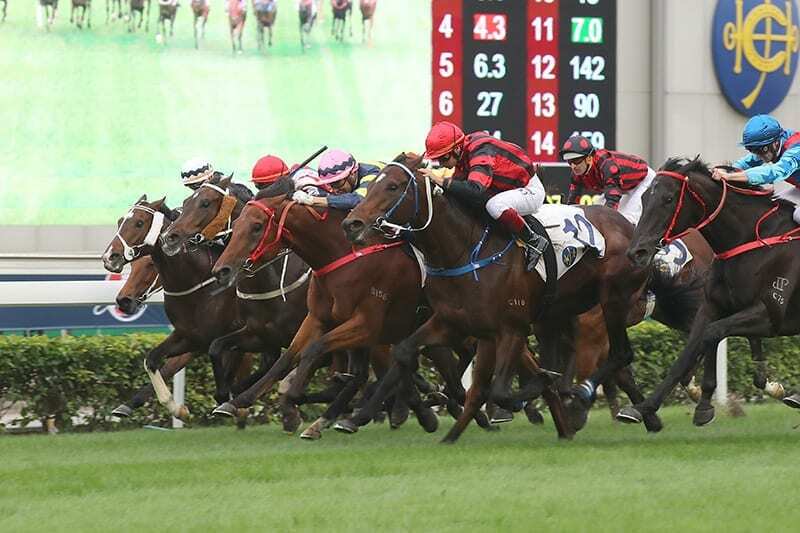 Hong Kong’s three-race Four-Year-Old Classic Series also features the Hong Kong Classic Cup (1800m) on 17 February and the BMW Hong Kong Derby (2000m) on 17 March.